I love these nappies; the sizing is great, the absorbency is fantastic and they're kind to the planet and to little bottoms - could we ask for anything more?! Pleased with my purchase once again! 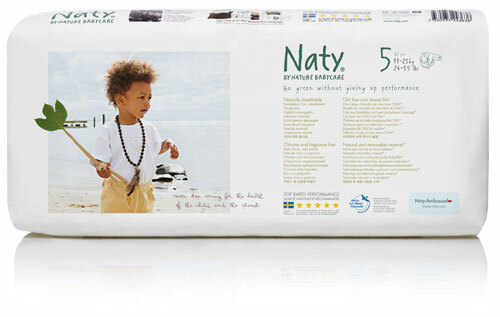 I've used Naty Nature Babycare Eco nappies since birth, never had any nappy rash and very few leaks over the past few years. I would highly recommend these nappies as the healthy environmentally sound choice for working families. Economy packs are a great value option. Thanks Earthmother for your great service and support.